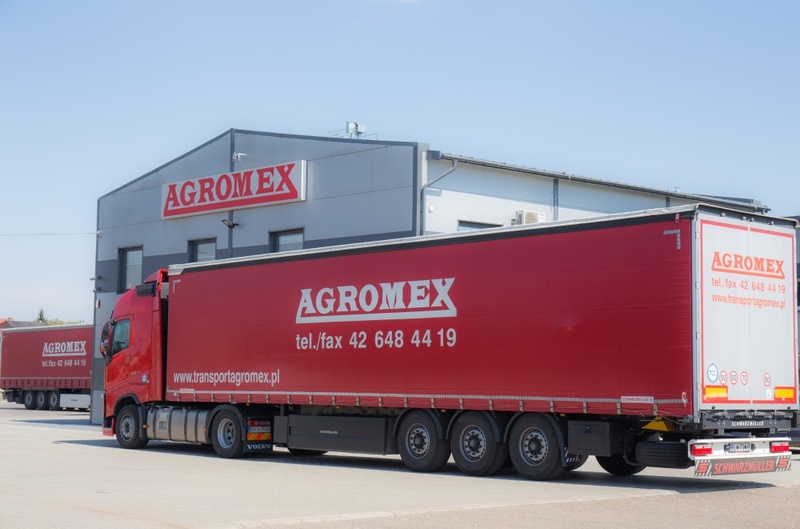 AGROMEX – Trans sp. z o.o. (formerly PPHU Agromex Sp. J. Maj Józef, Maj Barbara) is a family business, active in the transport industry since 1993. International and domestic road transport is the main profile of our company’s business. We also offer freight forwarding services. As we continue to grow and develop, since 2016 we’ve offered truck and semi-trailer service and tyre service. Due to our dynamic development in 2012 we were included in the prestigious group of ‘Gazele Biznesu’ (Business Gazelles). High quality of our services made it possible for us to join the Certification Program of Carriers’ Services Quality of Trans.eu. System – in 2015 we were awarded Trans.eu Certified Carrier certificate. We guarantee to deliver of your goods quickly and safely! Want more? Please contact with us! Have a questions? Would you like to know more about our offer? AGROMEX – Trans sp. z o.o. We offer an international and domestic road transport. We offer freight forwarding services. We also offer repair service of commercial trucks and semi-trailers.